Lee Academia Educational Consulting, LLC, guides students and parents through every step of the school admissions process with personalized guidance. They have advised both domestic and international students (Canada, Hong Kong, Taiwan, Korea, China) with success since 2002. Many of their students have attended Columbia University, Yale University, R.I.T, Dartmouth, NYU, Fordham, Johns Hopkins, SUNY Binghamton, St. John's University, SUNY Stony Brook, George Washington University, Princeton, Cornell, UPenn, Georgetown University, Washington State, Georgia Tech, Penn State, and many more. Founder Stephenie works with Lee Academia consultants and advisers who specialize in different areas; law, business, medical, pharmacy, dental and more. 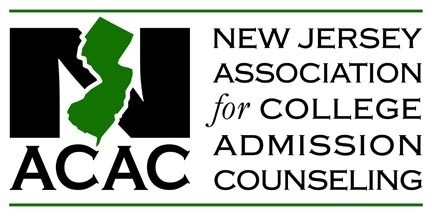 How often can students work with consultants who actually know and experienced the college or graduate school admissions process themselves? And how often can students work with a consultant who has taken, instructed the test prep materials and understand what the students are going through? Jerry, a graduate of National Defense Medical Center (國防醫學院) in Taipei, Taiwan, entered the world of business and has been, for many years, an entrepreneur and former business owner of three restaurants in the US. With two daughters, both Columbia University graduates (and one in the medical profession), Jerry is very familiar with the selective university admissions process, as well as the educational process. His skills with technology, computers (hardware and programming), calligraphy, and translation has been an asset for Lee Academia. His fluency in Korean and Chinese, has allowed many overseas students and parents to work with Lee Academia comfortably and efficiently. His hobbies include RC Model Helicopters, RC Cars, and A/V & Home Theater setups. Elisa holds an International Business degree from National Chengchi University - NCCU (國立政治大學) at Taipei City, Taiwan, joins Lee Academia as the Strategic Financial Aid Consultant & Business Director. Her expertise in higher education, international business and marketing has allowed students from Asia, Canada and the U.S. to work efficiently with our Virtual Courses and Consultation Services. Ms. Elisa, a native of Hong Kong, has been in the U.S. for over 30 years and she has been a stay-home mother of two daughters. For 18 years, she has driven her children to their daily after-school activities, sports, community services, music, and Chinese school lessons, while waiting for them outside in the car during the cold winters and hot summers. She has led her children to selective Ivy- League Universities, and they are both Coca-Cola Scholars who have ranked in the top 1% of their respective high school class. She knows what parents are looking for and her expertise in guiding them through their child's educational process is amazing. For the past 14 years, she has counseled and given strategic financial assistance to families, allowing them to save on college tuition and win many scholarships. With both of her children all grown, she sets an example to all parents that it is possible for students to graduate without loans or debt, with early strategic planning. Copyright © 2018 Lee Academia - All Rights Reserved SAT® is a registered trademark of the College Board, which was not involved in the production of and does not endorse this product. ACT® is the registered trademark of ACT, Inc. Lee Academia has no affiliation with ACT, Inc., which was not involved in the production of and does not endorse this product. Test names and other trademarks are the property of the respective trademark holders. None of the trademark holders are affiliated with Lee Academia or this website. MCAT® is a registered trademark of the Medical College Admission Test®. The Medical College Admission Test does not endorse, nor is it affiliated in any way with, the owner or any content of this web site.